The 13th Round Table meeting (RTM) between the Royal Government of Bhutan (RGoB) and its development partners is scheduled to take place from 15-16 March 2017, in Thimphu. RTMs were initiated in the early 1980s as an important forum for policy dialogue and aid coordination. 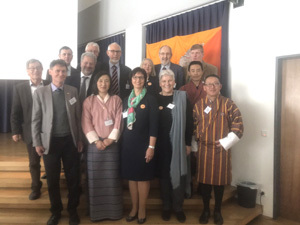 Typically held twice over the course of a Five Year Plan (FYP) period, such meetings allow Bhutan and development partners to discuss common interests and issues, and to strengthen cooperation. The RTM falls at the midpoint in the implementation of Bhutan’s 11th FYP, and at the preparatory phase for the upcoming 12th FYP. This provides the RGoB an opportunity to take stock of development progress to date, review challenges, and work on strategies with development partners to ensure the full alignment of development assistance for the achievement of national priorities and Global Goals. Having adopted the 2030 Agenda for Sustainable Development Goals (SDGs) in September 2015, the theme of the 13 th RTM is “Gross National Happiness for the Global Goals”. Honourable Prime Minister, H.E. Lyonchhen Tshering Tobgay, will inaugurate this important event. The RTM is jointly organised by the RGoB and the United Nations Systems in Bhutan, and will be co-chaired by H.E. Lyonpo Damcho Dorji, Minister for Foreign Affairs, and H.E. Haoliang Xu, the UN Assistant Secretary-General, UNDP Assistant Administrator and Regional Director, Asia and the Pacific. During the RTM, the Guidelines for the Preparation of the 12th Five-Year Plan will be launched. 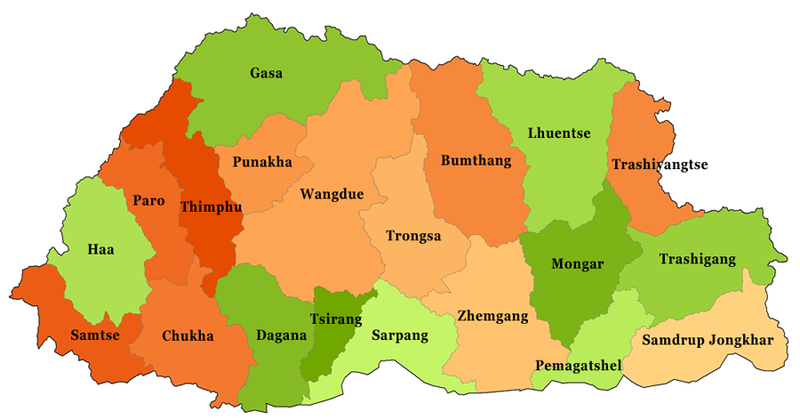 Presentations will be made on Bhutan’s GNH Index and results of the 2015 GNH survey; the integration of GNH and the SDGs; an update on Bhutan’s State of the Environment; an update on Bhutan’s macroeconomic scenario; 11th FYP midterm review and area focus in the 12th FYP; and statements by the development partners. Over the course of the two-day event, several side events’ will also take place. Local products and innovative ideas of interest to development partners will be showcased. Representatives from Bhutan’s development partners, both bilateral and multilateral, will be in attendance. The forum will also see participation of RGoB officials, local Civil Society Organizations (CSOs), and private sector associations.